Home » Telugu » News » Ravi Teja and Srinu Vytla to collaborate again? 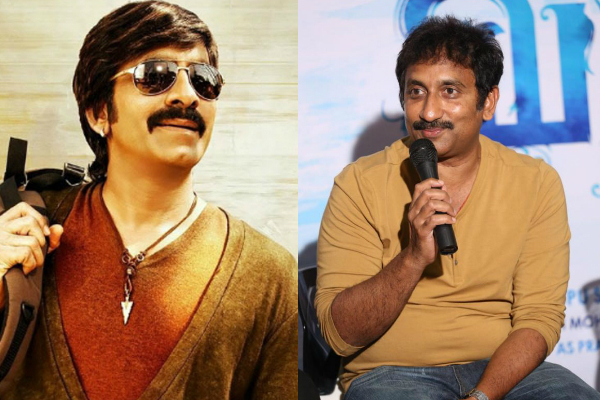 Ravi Teja and Srinu Vytla to collaborate again? Srinu Vytla and Ravi teja have delivered hit films like Venky and Dubai Seenu in the past, and will now look to deliver another smashing hit. The successful combination of Ravi Teja and Srinu Vytla haven’t worked in almost a decade now with their last outing being Dubai Seenu. While Srinu Vytla is not in the best of his form at the present moment, Ravi Teja is shooting for two of his upcoming films – Raja The Great and Touch Chesi Chudu. Now, according to recent reports Ravi Teja and Srinu Vytla are associating for a film which will be produced a leading production house. Reports are doing rounds that Ravi Teja and Srinu Vytla are in discussions for a film, and if everything goes well, the film might go on floors in October of this year. According to emerging reports, Srinu Vtytla is working on a script which will suit the mass actor’s image. Srinu Vytla’s recent movies – Mister, Bruce Lee and Aagadu – haven’t fared well at the box office and has been gunning to get a hit in his kitty. Ravi Teja, on the other hand, has also had a dry run for the last few years with his recent movies tanking at the box office. This duo, who have had great associations in the past like Venky, Dubai Seenu and Nee Kosam, will now be gunning to score a hit with their next association. Ravi Teja is currently working on his upcoming film Raja The Great which is being directed by Anil Ravipudi. Post the completion of this film, Ravi Teja will start shooting for Touch Chesi Chudu which will be directed by debutante Vikram Sirikonda.